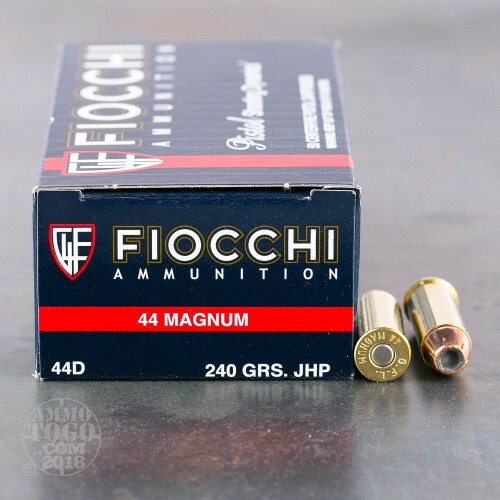 Fiocchi 44 Magnum 240 Grain Jacketed Hollow Point. 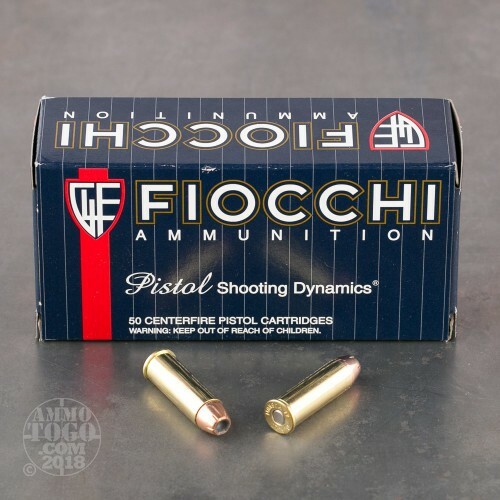 This ammo is manufactured by Fiocchi and is excellent quality ammo. 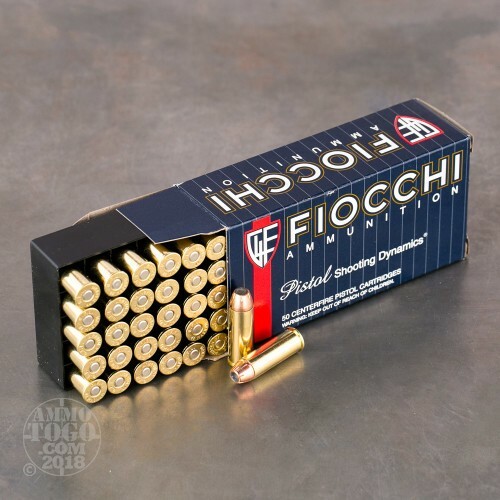 This ammo is brass cased, non-corrosive and 100% new factory fresh. 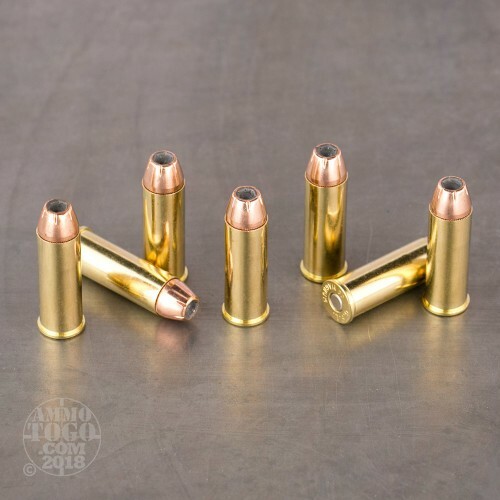 This is some excellent target or hunting ammo for the price. Packed in 50rd. boxes.